There are many creative ways to get funding for a house rehab project, some of which you may not have heard of. 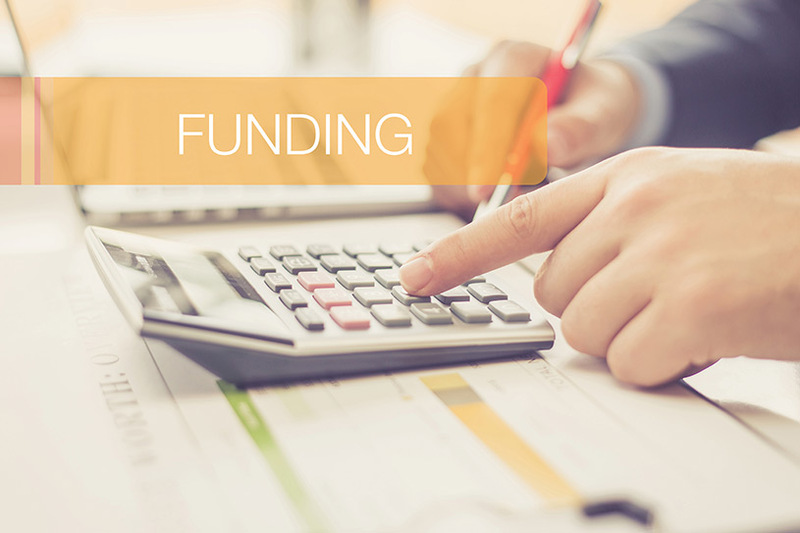 While you won’t always have access to all of these strategies, depending on your situation you could have funding options that you may not have considered before. Whenever looking for house rehab funding, the first thing you need to ask yourself is whether the funds will be used for your primary residence or whether they are for an investment property. Your options will change depending on that circumstance. For example, 203k loans, otherwise known as rehab loans, are only available for primary residences, whereas conversely, hard money won’t lend for projects involving primary residences. Additionally, you may have the ability to perform your flips inside of a tax-deferred plan. Check out these lenders to apply one of these strategies. Cash is king. If you have enough cash to finance a flip, then you’re one of the few with the most options. Depending on your risk tolerance, it is not always the best strategy to use all of your own cash on a project. Cash is easy, fast, and makes your offers very attractive. It is the least risky way of financing your fix and flip project as the only risk you have is of losing your own money that you put in. Paying all (of your own) cash is not always the best strategy. If you have enough of your own cash and access to other people’s money, you may want to use leverage in addition to using your own money. For example, if you have a hypothetical $100,000 and you have access to Hard money of up to 30% LTV, you could potentially finance three $100,000 projects where you put up about $33,000 for each project. You will likely need to personally guarantee all of the loans, so your risk has now tripled in that situation, as you’re on the hook for $300,000. You might be able to arrange seller financing with the owner of the property. With this method of financing, the seller becomes the bank, and you pay a mortgage payment to the seller. Seller financing can be advantageous to both the buyer and the seller for a few reasons. It can be good for you as the buyer in instances where credit is hard to come by, or where you may not be able to meet standard underwriting criteria, such as a large enough down payment, or strict income, or debt ratios. For the seller, there are several advantages. One of the advantages is that the seller has more leverage to negotiate receiving closer to asking price, even if the property doesn’t appraise for as much. Another advantage is that it makes the property easier to sell especially in a tight credit market, increasing the pool of capable buyers, therefore reducing holding costs. If the seller does not need the capital immediately, this arrangement provides the seller with additional income. Seller financing doesn’t completely need to tie up the seller’s capital for the term of the loan, however. The seller always has the option to sell the note to another investor if getting the money out is desired. Many investors and agents are not familiar with seller financing, so you will need to find professionals such as an attorney, and agent familiar with the process to help you navigate such an arrangement. This arrangement works best when the seller owns the property free and clear, as otherwise, the seller’s lender would need to permit the arrangement. If you have great credit, a source of stable income, and good debt to income ratios then you have many options for personal loans. You can go to your local bank, credit union, or online loan finder such as LendingTree and talk with them about their loan programs. See the lender links section at the end of this guide for a list of some of the most popular lending resources for personal loans. Your success will depend greatly on your circumstances. If you’re looking for a personal loan, then you will need to show great credit, and an ability to repay the loan. On many online lending sites you might only be able to secure smaller personal loans with a maximum up to $35,000, which could be an inadequate funding source in higher priced markets. A Home Equity Line of Credit (HELOC) extends credit to you based on the equity in a home, and is secured by the home. You can qualify for a HELOC for up to 80% Loan to Value (LTV) of your primary residence. That means that you can get access to the difference of 80% of your house value and how much you owe. In high appreciation markets such as California, you may have significant equity to draw from. A typical loan application requires a home appraisal to determine the value of the home, and the requirement that your Debt to Income (DTI) ratio is under 30%. You should talk to a mortgage banker for specific qualification requirements. A HELOC is a line of credit, on which you can draw at will. That means that you can write a check up to your credit limit to pay for that project. The rates on HELOCs are quite low, currently below 5%, and you don’t have to pay any points when you write yourself the check. Hard money, on the other hand, will cost you twice as much, plus origination points and other fees that will add up quickly. Like with anything, there are downsides to using your house as a piggy bank. If a deal goes bad and you cannot repay the HELOC, you may put your house at risk for foreclosure. The approval process takes into consideration your current debt to income ratios, so that you should be able to afford the payments on the line of credit when it’s established. If your situation changes, you may end up with a house you can no longer afford. Could be canceled or frozen, do you have a plan B? If you were relying on the line of credit as your primary source of funds, and the line gets frozen, you may need access to other funds to finish your rehab project. If you have another property, whether as an investment or as a vacation home, given enough equity, you may be able to either get a HELOC, or perform a cash-out refinance mortgage on that property. Whereas a HELOC is a second loan on the house, a cash out refinance is a replacement of the original loan. With typically higher rates than a refinancing, A HELOC can be preferable when you have shorter-term capital needs. With a line of credit you will only pay interest while you draw on the credit. This allows you to have funds for shorter-term rehab projects when you need them, and keep the balance paid off between projects so that you are not paying interest on the line. With its lower rates, a cash out refinance is good when you do not anticipate paying back the balance frequently, as in a case where you have many projects going and always need the maximum amount of funds available. In this case you would pull out the equity out of the property immediately, and start paying interest on the entire principal. In the case of a HELOC, in the current lending environment it can be challenging, though not impossible, to find a lender that will provide a line of credit secured by an investment property. You will likely need to contact several different lenders if you are interested in such a product. Many lenders will do a cash out refinance to mortgage an investment property at around 70% LTV. Private money is money from non-traditional lenders such as friends and family for example. This money is characterized as being relationship based rather than institutional. Where can you find private money? Finding private money involves reaching out to your immediate network, and expanding your search from there. You may have successful friends, or family, people you know with an inheritance, or a doctor that you have a great relationship with. It can be anyone with enough money that is interested in investing outside of the stock market. If you don’t know any people with those kinds of resources, then you can ask your friends and family if they know anyone in their network who might fit the bill. You can also find private money at real estate investment watering holes, such as REI clubs, conferences, and online forums. Remember, that real estate is risky, and so you should exercise extra care when working with, or borrowing from friends and family. How will you losing your family member’s inheritance affect your relationship with them? As with anyone that you’re borrowing money from, but especially with friends and family, do not overstate the viability of the deal, do not understate the risk involved, and make sure that whoever is lending you money can afford to lose their investment. Many employer 401k plans allow their participants the option to make loans against the principal of their 401k, up to 50% of its value or $50,000, whichever is less. The great thing about a 401k loan is that since it uses your own principal, you are paying the loan payments and interest to yourself. Not all employer plans allow loans, so check with your 401k plan administrator for the specifics of your plan. If your employer doesn’t offer such a plan, but you are also self-employed, you should look into establishing a Solo 401k plan for yourself. Sense Financial (partner) or any other highly rated plan provider can work with you to see if qualify to establish a Solo 401k for yourself. The Sense Financial plan gives you the ability to take loans up to $50,000 inside of the plan. The maximum amount that you would be able to borrow from a plan is $50,000, which may not adequately meet your investment requirements. This is a loan, and thus needs to be paid back on a predetermined schedule, so you should be reasonably sure that you can pay it back. Failure to pay the loan back and defaulting on the loan, as may be the case if a deal goes bad, will cause the loan to be treated as a distribution from the 401k, which comes with hefty tax penalties. Another consideration is whether the amount that was borrowed wouldn’t be better used for investment inside of the 401k. When you take out a loan from the plan, you are removing capital from it, capital that would normally be used for investment within the plan. If you have a permanent life insurance policy, which accumulates in value, then similarly to a 401k loan, you can borrow against your accumulated fund value. Unlike a 401k loan however, you are not borrowing your own money, and instead are borrowing from the life insurance company using your policy as collateral. One benefit of a life insurance loan is that you do not have to pay it back, although you should plan to. This is helpful when engaged in higher risk activities such as house flipping where you may be at risk of a loss. The interest rates on life insurance loans are typically pretty competitive, and definitely better than hard money. Getting access to the money is pretty quick, making it almost as good as cash. Your interest may include an opportunity cost fee, and any unpaid interest is subject to interest. Although you don’t have to repay the loan, it’s advisable to do so. Ultimately the life insurance is for your beneficiaries, and thus by reducing the accumulated funds, you are reducing the benefit to your heirs. If you borrow more than is accumulated and cancel your policy at a later date, then you may experience a taxable income event. If you are planning on purchasing, or refinancing, a primary residence with the intent on improving it, then you can take advantage of a 203(k) insured FHA loan. A home that’s being sold as-is or one that has significant deficiencies would not normally qualify for FHA financing criteria. This is where the 203(k) program comes in, combining both construction funds with a home mortgage into a single FHA approved loan. 203k loans are available to purchasers of 1-4 unit properties, making them perfect for house hacking: investing in multi-family properties by living in one of the units, and letting your renters pay for your mortgage payment. The primary consideration is that this type of loan is only available to you for a primary residence that you intend to occupy. Not only do you have to be an owner occupant, but you also have to remain there for at least a year. This lends itself well to buy and hold scenarios, as well as to reducing capital gains. It is not advantageous, however, if you would like to turn over your properties frequently. One of the biggest criticisms of using 203k loans to flip homes is the documentation requirements and length of time to close the loan. It can take up to 6 months to fund a loan, which makes it difficult to secure properties in highly competitive markets where most transactions close within 2 weeks using all cash and no contingencies. Underwriting guidelines for most FHA mortgages that are to be sold on the secondary market require that the collateral property must be in adequately good condition. It’s unlikely thus that you will be able to find a non-owner occupied FHA mortgage for a property that you are trying to improve as you are trying to purchase properties in disrepair to which you can add value. This is where Hard Money comes in. A hard honey loan refers to loans secured by real assets and issued by private investors or companies. These loans are not typically sold on the secondary market, and thus they aren’t required to meet the same underwriting criteria. This allows underwriters to determine their risk and the credit worthiness of a borrower in any number of ways including the borrower’s experience in flipping. These loans have much higher costs and rates, due to their increased risk and shorter expected duration. Many hard money lenders have the ability to make a decision quickly, and fund quickly. This makes the loans almost as good as cash. Because they are typically asset based, many lenders do not consider a credit score as part of their lending criteria, instead using the viability of the deal and your ability to execute on the deal to dermine their risk exposure. As you gain more experience in your flipping enterprise, and establish a consistent record of success, your ability to fund flips with hard money and their corresponding rates will improve significantly. The primary consideration for hard money is its cost. This is some of the most expensive money that you can borrow often at rates in the double digits, eating into profits and into your ability to be successful. The less experienced you are, the higher your rates will be, and the harder it will be for you to be successful as you make mistakes and extend the timelines of your flips. With a business loan or line of credit you have many options as well. The benefit of a business loan is that you may be able to borrow significantly larger loan amounts. Similarly to personal loans, you can get business loans and lines of credit at local banks, credit unions, as well as online loan finders. There are many products available to lend to your business. One such program could be a line of credit to help you fund shorter-term investments such as flips. See the lender section at the end of this guide for a list of business lenders. The larger the loan, the more documentation you will need to provide. On top of information about your personal financial health, you will need to show a reasonable business plan, and how you plan on repaying the loan. Peer to Peer (P2P) lending refers to online marketplaces where you can get connected with one or more private lenders to fund your deal. Each lending platform has it’s own qualification criteria and offerings, so you should investigate which one may be right for your situation. Some of the lenders such as LendingClub and FundingCircle (partner) have personal as well as business loan products. Others such as PeerStreet focus strictly on very specific real-estate investment and development projects. While the business models of each platform may be unique, generally each platform acts either as a lender, or an equity partner. In the case of a lender, the platform is very similar to traditional lending institutions, where you regularly pay interest payments while the loan is outstanding. For equity-based platforms, while you may not have monthly payments, you will split the share of the profits at the end. The analysis section of the REIkit Rehab Software gives you the ability to analyze either scenario for your flip deal: debt financing, or JV profit splits, or both. See the online lender section of this guide for a list of some of the most popular online lending resources. In the case of personal loans, you may be only able to borrow smaller amounts under $50,000, which may not be enough for deals in higher priced markets. These loans will also count against your personal debt ratios and affect your credit score. In the case of business loans, to get underwritten you may have to provide additional information about the deal, your previous experience, your team, and your ability to execute the project. Some P2P loans can be similarly priced to Hard Money, so it pays to shop around. You may only be aware of a 401k or an IRA as a place to invest in stocks and mutual funds. It is not always common knowledge that you can actually invest in a large number of investment vehicles including real estate, or businesses. Unfortunately, most employer and broker plan custodians only allow their participants a very limited choice of mutual funds and stocks. In order to take control of your investment options and be able to invest in real-estate with your retirement portfolio, you can roll over your retirement accounts into retirement accounts with custodians that allow their plan participants more freedom in their choice of IRS approved investment options. These are often a Self-Directed IRA or Solo 401k. A self directed IRA is no different from a standard IRA. It is just one where the plan custodian allows the plan participant to direct which investments to invest the plan funds into within IRS limits. If you are self-employed and pay yourself a salary, you have the ability to set up a Solo 401k. It is not much different from a regular 401k, with the exception that you set up your accounts in such a way as to be a trustee of your account, so that you can manage the investments within it. There several plan providers that can help you set up either a self-directed IRA, or a Solo 401k. For our company, we use an IRS approved Solo 401k plan from Sense Financial. We’re very happy with how simple it was to set up, so we became a partner of theirs. Tell them you found them on REIkit for a 10% discount on services. While there are increased regulatory burdens involved with either kind of plan, and increased costs, either is a great option for people who are interested in investing their tax-deferred nest egg outside of the stock market. Once you have such plan set up, then you can invest in real estate, or any investment vehicle allowed by the IRS. Because real estate investment is risky, especially house flipping, you are potentially risking your retirement savings. This may not be advisable when nearing retirement, or when you are just starting out and don’t know enough to know how reduce the potential risk. There are also potential issues in holding real estate for the long term in tax-deferred accounts. Say in the case where you rehab a property and decide to keep it as a cash flow rental. Tax deferred accounts such as 401k-s and IRAs lose many of the tax advantages available to long-term real estate investors: advantages such as depreciation, and mortgage interest deductions. In that case you may need to consider whether that particular long-term strategy still provides adequate returns without the benefit of those tax benefits. Whatever investment strategy you use, you will need to make sure that your transactions are at arms-length and do not benefit you personally. This is called self-dealing, and means that you wouldn’t be able to invest in a primary residence, for example. Similarly, you are not allowed to commingle personal funds with retirement funds. This means that for investment purposes, you only have access to the funds that are in the account. If you run out of funds for your flip, you may not have as many options to add more funds, or to get a loan to get the project finished. The only way to add more funds to the account is to either contribute more (within IRS defined contribution limits) or to get a non-recourse loan inside of the plan. It can be more challenging to get a loan inside of the plan and use leverage, because you cannot personally guarantee the loan. The only way to get a loan in the plan is to find a non-recourse lender that will loan to your plan. The additional risk involved with such loans will reflect a premium in rates, and will generally require a larger down payment. We provide you a list of non-recourse lenders at the end of this guide. Here is a list of popular lenders and crowd lending marketplaces. Here is a list of non-recourse lenders provided by Sense Financial that may be able to loan to your plan. If you end up working with one of these lenders, please make sure to let us know your experience with them. What is the 70% Rule When Flipping Houses?